Established in 1970 and family owned since, John W Cookson Company has been the place to go for the highest quality drive line parts and repairs. We offer parts from high quality brands like AAM, Dana/Spicer, Meritor/Euclid, Neapco, Motive Gear, and Timken/DT components. We also stock snow plow parts from Buyers Products. We will repair or build any drive shaft to your exact specifications. All our shafts are balanced on Hines equipment and built with Spicer and Neapco parts for the best possible quality. We sell yokes, u joints, and all parts for drive shafts. We also repair standard transmissions, differentials, and transfer cases. Medium and heavy duty units can be custom built with genuine OEM parts and Timken bearings, or we can do an immediate exchange. All of our units come back painted and ready to go like brand new. Brand new Rockwell and Spicer differentials and Fuller Reman Transmissions are available also. John W Cookson Company is dedicated to doing the job right the first time and providing you with the best service and quality you can find. If you have any questions please call and we'll do our best to help you out. John W. Cookson was in the United States Air Force stationed in England, involved in many missions over Germany. The year was 1944 and America was at war. His position was in the ball turret, the bottom of the airplane. At the time they had been told, once you have flown 25 missions you will be sent home. They knew that the bombers had and average life of 17 missions before being shot down in enemy territory. Well, they finally flew 33 missions. John said each mission was a miracle of God. He had placed his faith in God at the age of 15. 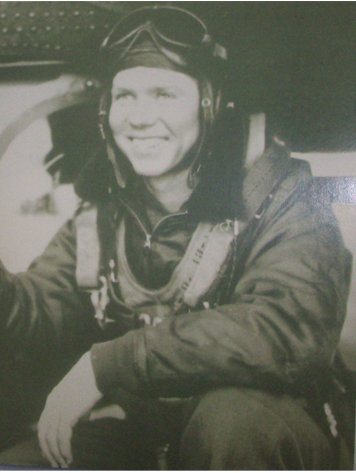 He would read Psalm 91 each day and each flight, John said the biggest miracle for his crew was a mission that they did not fly. One time his entire squadron took off on a mission. Eleven planes were going on the mission. A short time after leaving, John's plane developed engine problems. They had to turn back, normally they would get into another plane and go back into the air with the rest of the squadron. But it was too late to catch up, so they were ordered to remain at base and wait for the other ten planes. Not one plane returned. They had been shot down. John said I can remember waiting for my buddies to be back. I can remember sitting in the barracks that night, so very empty, being thankful, yet also the terrible hurt. John, in 2010 at the age of 92, is still thankful. John was born in 1918 in Goshen, OH. He was one of six children born to Ben and Cora Cookson. He and his first wife Nell had six children and were married 53 years. He has 12 grandchildren and 14 great-grandchildren. John and his second wife, the former Wanda Sattoria, were married in 1993 and lived in New Philadelphia. John is retired from John W. Cookson Co. His two sons are now the owners.